On May 25, 2017, 1st Ed Credit Union supported Comic Relief, Inc., by participating in Red Nose Day. We raised nearly $150 through a staff dress down day and a hot dog lunch to donate to the charity. 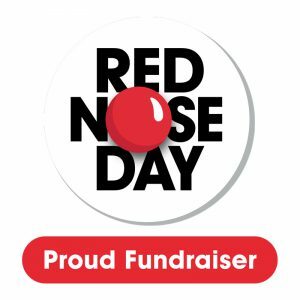 Red Nose Day is a fundraising campaign run by the non-profit organization Comic Relief, Inc., the funds raised benefit children in all 50 states and 15 countries internationally through programs to keep children and young people safe, healthy and educated. If you would like to support the efforts of Red Nose Day, visit www.rednoseday.org and donate today! In support of Comic Relief Inc., a registered U.S. 501(c)(3) public charity.